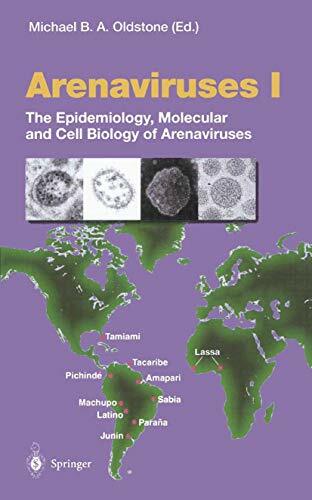 [PDF] Arenaviruses I: The Epidemiology, Molecular and Cell Biology of Arenaviruses (Current Topics in Microbiology and Immunology) (Volume 1) | Free eBooks Download - EBOOKEE! Description: Since the subject of arenaviruses was visited by Current Topics in Microbiology and Immunology 14 years ago, enormous advances have been made in this area. The receptor for several arenaviruses, alpha-dystroglycan, was identified, the replication strategy of these viruses was decoded, and application of a reverse genetics system for studying viral gene function and viral biology is well underway. In addition to reviewing these advances, Volume I includes discussion of arenaviral molecular phylogeny, reservoirs in rodents and clinical diseases caused by both new world and old world arenaviruses. No comments for "[PDF] Arenaviruses I: The Epidemiology, Molecular and Cell Biology of Arenaviruses (Current Topics in Microbiology and Immunology) (Volume 1)".